" The perfect compound for marine and industrial applications. 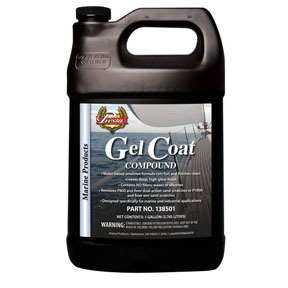 Gel Coat Compound is a VOC Compliant, water-based product that removes P800 or finer dual action sand scratches and P1000 or finer wet sanc scratches. Gel Coat Compound quickly leaves a deep, high gloss finish without the use of waxes, silicones or fillers.